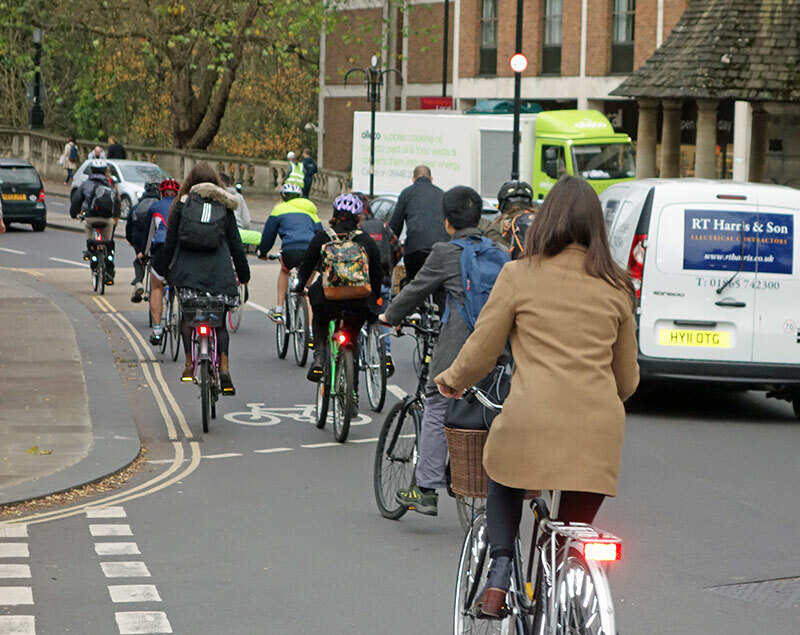 Since the end of the racing season, I’ve been paying a little more attention to the other aspect of cycling – Commuting. 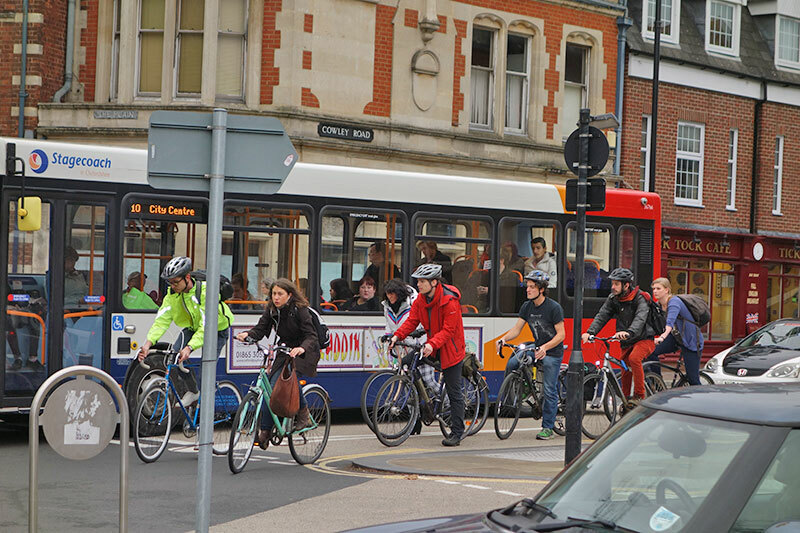 If you like dividing cycling into different tribes, I’m proud to be a member of most cycling tribes. Commuting has a very different mindset and rhythm to racing. 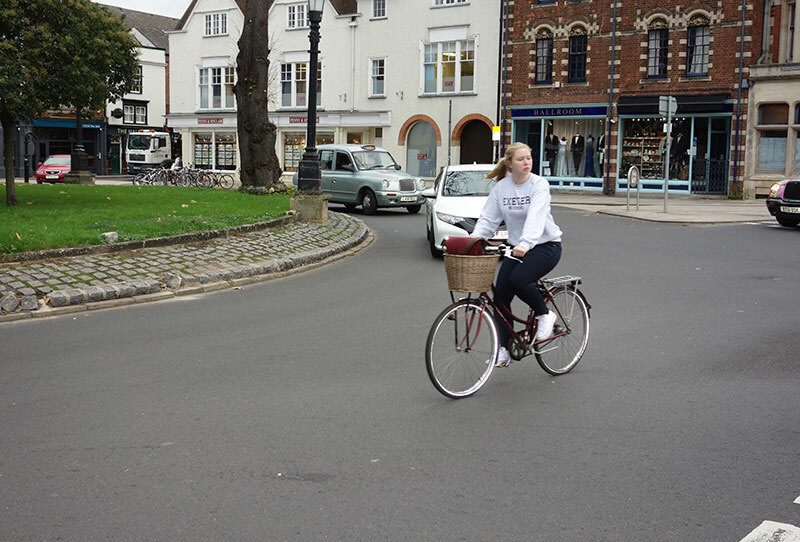 Since students have came back to Oxford, you notice a significant rise in the number of cyclists in the city. 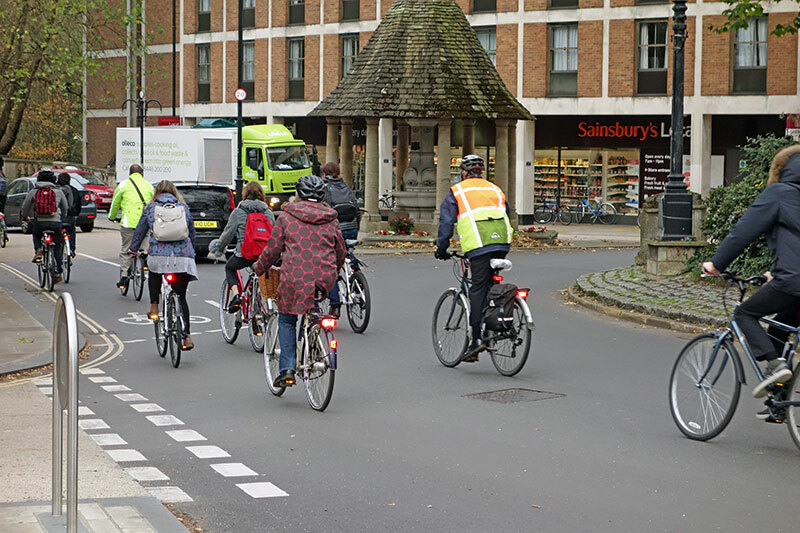 Cycling into town around 9am, and you get caught up in cycle lane congestion. As cycling problems go, cyclist congestion is a pretty good problem to have. 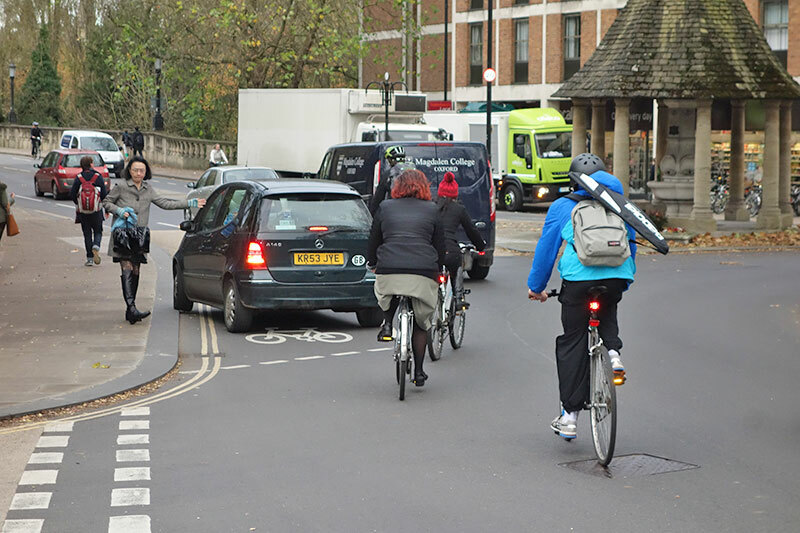 Needless to say, if every cyclist converted into a car, there would be fundamental gridlock on the narrow streets of Oxford. People streaming into town. And shorts in November, what is the world coming to! 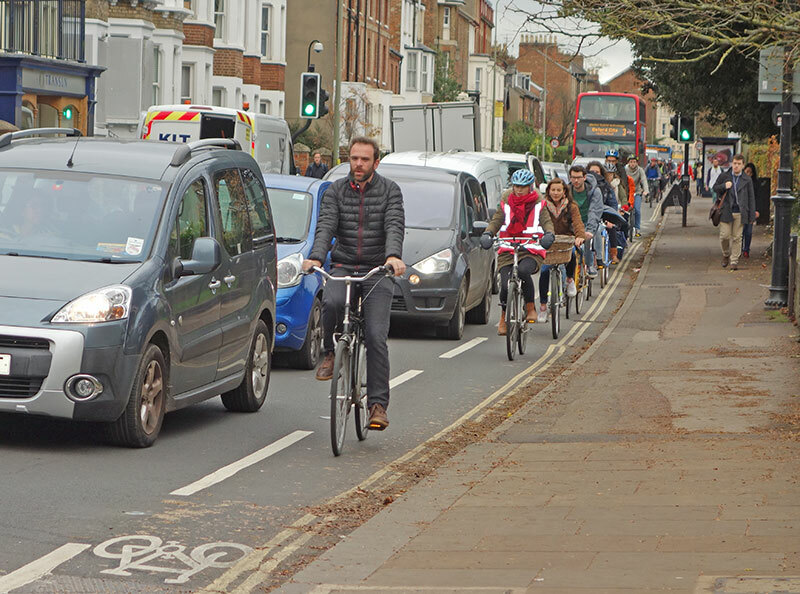 As a cyclist, you beat the worst of the congestion. Cyclists waiting in line. Sometimes, when I get to the back of a long queue, I just have to gently remind myself, this isn’t a road race. Even though I’m predominately a time trialist – I do watch a lot of procycling, e.g. Belgian classics, where half the entertainment is seeing riders bunny hopping over street furniture and overtaking through impossibly small gaps. Of course, it’s a relief to be able to ride at a nice sedate pace. There’s a time and place for everything, fighting through impossible small gaps, you can leave for a proper race. Cycling in numbers. 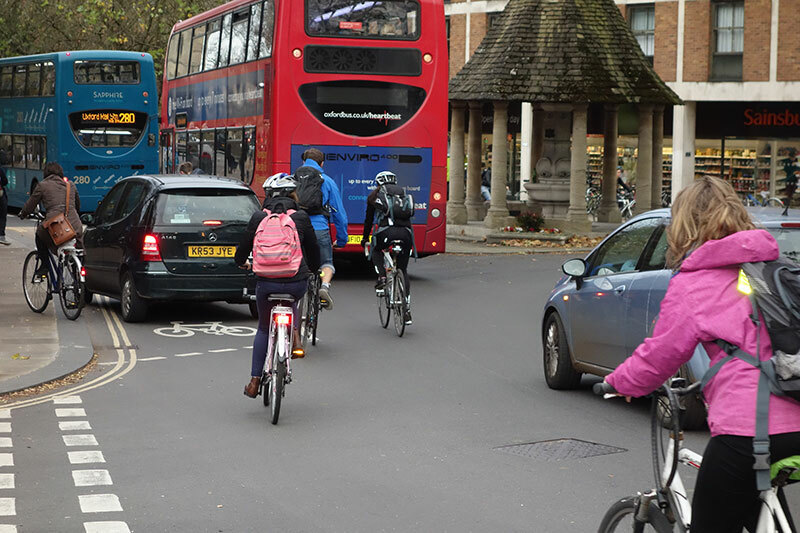 This is a very personal and anecdotal opinion, but I think that large numbers of cyclists improve the general road behaviour of cyclists. If you come across people waiting patiently, you don’t be the one to break the good practise. Move to Queens, New York in the absence of any other cyclist, and it’s more a question of survival. Magdalen roundabout is a tricky place. 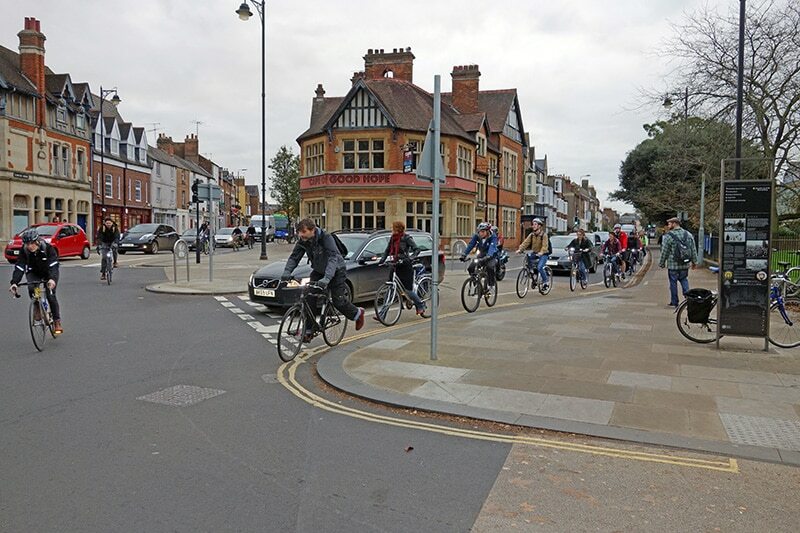 Most people drive straight on into town, but a small percentage of cars and bicycles take a minor road left. 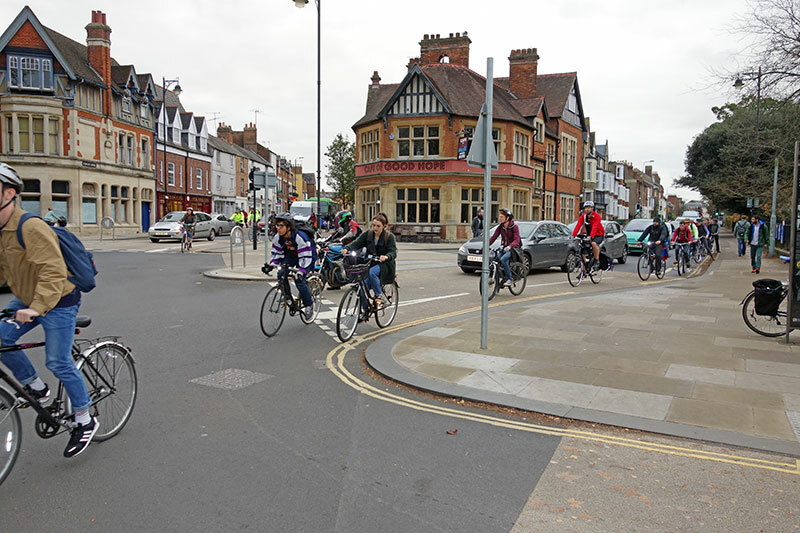 This can catch people out as they don’t expect that people will come off roundabout early. 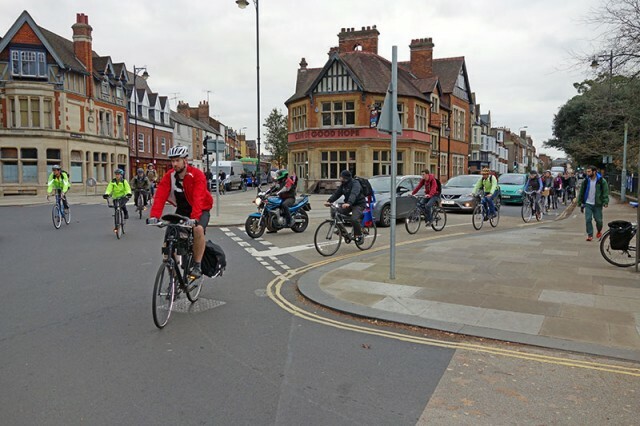 Magdalen roundabout has been subject to a £1 million revamp, whether it has helped I don’t know. The key thing to safety is reducing vehicular speed in the run up to the roundabout. In a way Peak times makes it safer because the jams make cars slow by default. The danger is impatience from being stuck in a traffic jam and squeezing into gaps that aren’t really there. This car caused difficulties by pulling in to drop someone off, just at this very tricky part of the roundabout. Interesting pictures – it’s a bit quieter there on my commute around 6:30am. I think the biggest improvement at this roundabout is when you come from town. 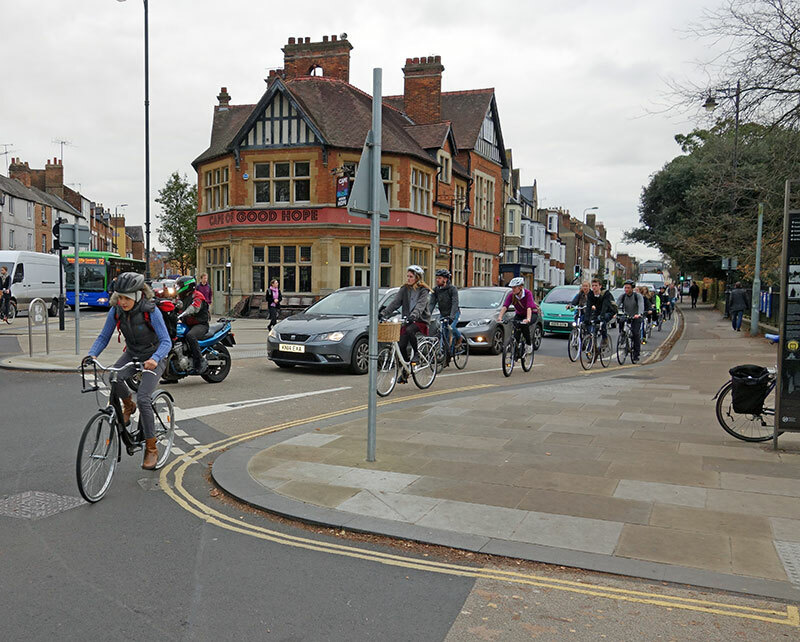 Before you had to cross a lane (and watch out for traffic coming from behind) if you wanted to cycle on to Cowley or Iffley Road. 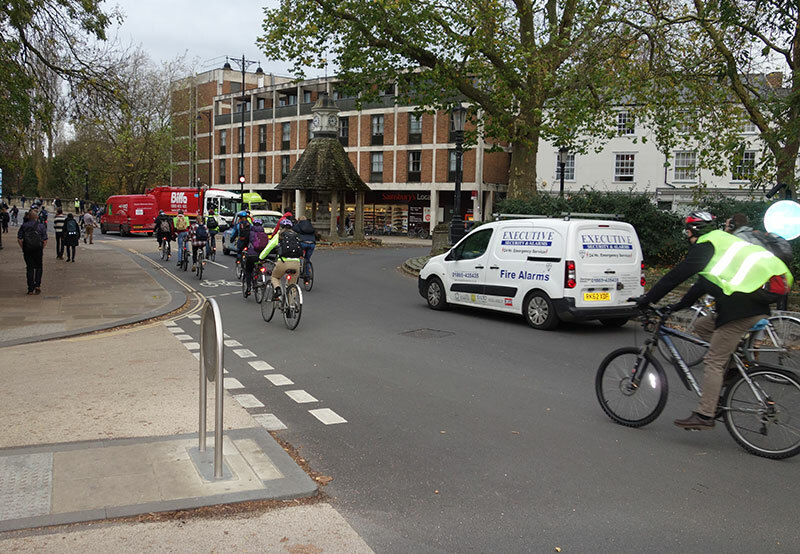 Now the cycle lane forks and the (motor)traffic going towards St Clement’s has to cross the cycle lane (safely one would hope).